Giorgio Locatelli has been around the block for what seems like ages. He trained under Anton Edelmann at the Savoy before stints in Paris, including (then 3 Michelin starred) La Tour D’Argent. Locatelli then returned to England to help open Zafferano which won a Michelin star in 1999 which he held on to until he left to open up his own solo venture. His eponymous restaurant, Locanda Locatelli, has held on to its Michelin star for more than 13 years. Despite being a bit of a celeb haunt, the restaurant goes about its business quietly with very little fanfare on social media. The restaurant underwent a refurb back in 2014-15 due to a kitchen fire. We visited for a Saturday night dinner and the dining room was pretty much packed. There is no tasting menu available. Only a traditional Italian a la carte listing antipasti, pasta, fish, meat and desserts. Items are individually priced, with starters £11.50 – £19.50, pasta £9.50 – £21.50, fish £25.50 – £29.50, meat £28 – £35.50 and desserts £7.50 – £11.50. There are also pesky side dishes at £4.50 – £5.50 signifying that the dishes do not come complete. We decided to order an antipasti, meat and dessert each and split a pasta course. We recently dropped by Murano for a casual Friday lunch. Despite being plenty of options for high-end Italian dining in London, Murano is our go-to place for Italian food as it is my wife’s favourite. I think the term ‘Italian inspired’ would probably be more accurate, as Angela Hartnett also draws from her French training with Ramsay to include techniques and dishes which are more likely to be seen in a French restaurant. In saying that though, in recent months, I have noted that the cooking is heading back towards its Italian roots with less French inspired elements on the menu. Now despite being lunch, we both came completely starving and hence opted for the full 5 course menu from the a la carte. The menu format has not changed from when we last visited – you can build your own tasting menu if you wish from the extensive a la carte menu or stick to a brief 3 course menu if you so please. While browsing the menu, we were brought some excellent San Daniele ham which I understand is cured in-house to go with some in season and very sweet melon. A bread basket soon followed and the focaccia is as good as from the last time. By the time we had settled into our room and sorted some of our luggage out in Kuala Lumpur, it was already 1800. Our flight the following day was 0900 and thus we would need to be out of the hotel room at 0630 at the latest. We were faced with a small dilemma as to what we would do for dinner. On one hand, we could grab a cab into KL city centre where there are a myriad of dining options. However that would take us at least 30 minutes given traffic conditions and Malaysian cabbies are notorious for ripping off tourist. Alternatively we could go to the nearest shopping mall and grab some fast food (ahem KFC). Or we could just stay in the hotel and either order room service or try one of the various restaurants. The Hilton is attached to Le Meridien by a walk-way (both hotels are side by side) giving us plenty of options to choose for. After plenty of deliberation and looking at the various menus online, my fiancee decided we would go to Favola. Their menu looked fairly appealing with a lots of Italian classics – fritto di mare, porcini risotto and osso bucco but to name a few. The chef, Dominenico Piras, hails from Sardinia and was at some point the private chef of Gaddafi’s (yes that one) son. Murano began life as part of another Gordon Ramsay restaurant with his protegé, Angela Hartnett chosen to helm it. Subsequently with the economic down turn and Gordon Ramsay Holding suffering from financial strain, Angela was offered the option to buy out Ramsay’s share and take full control of the restaurant. This meant that she had full creative control of the menu. Nevertheless, a lot of Ramsay’s influence can still be seen in her cooking. The menu is unique in the sense that it does not have a tasting menu per se. Instead the diner gets to choose between 2, 3, 4 or 5 savoury courses (priced between £50 to £85, desserts are charged separately) from the a la carte menu which consists of 4 different choices of starters, pasta, antipasti, fish and meat courses – the restaurant will adjust the portions accordingly. If you are feeling carnivorous you could opt for 4 different meat courses or you could be like me and prefer to carb load on pasta. Despite frequent appearances on TV, most recently on Good Food Channel’s Market Kitchen, Theo Randall has never rose above the ranks of minor celebrity chefs amidst more illustrious counterparts like Giorgio Locatelli and (shudder) Jamie Oliver. It is definitely not for a lack of his cooking ability. Despite not (currently) holding a Michelin star, Theo was at some stage of his career (actually a good 17 years) the mastermind alongside Ruth Rogers and Rose Gray at the ever popular River Café where he won them their first star. Theo began his career working under Max Magarian at Chez Max in Surbiton. He spent four years training here before a short stint at the River Café. Theo then moved to California where he had a short one year stint under Alice Waters at Chez Panise. He soon found himself back in England where he was appointed head chef at River Café. More importantly, now as a business partner, he elevated River Café’s status from, well, a simple café to one of the most popular foodie destinations in London. In his own words, Randall could have easily stayed at his cosy little bubble he had erected for himself at River Café but opted for a new challenge. 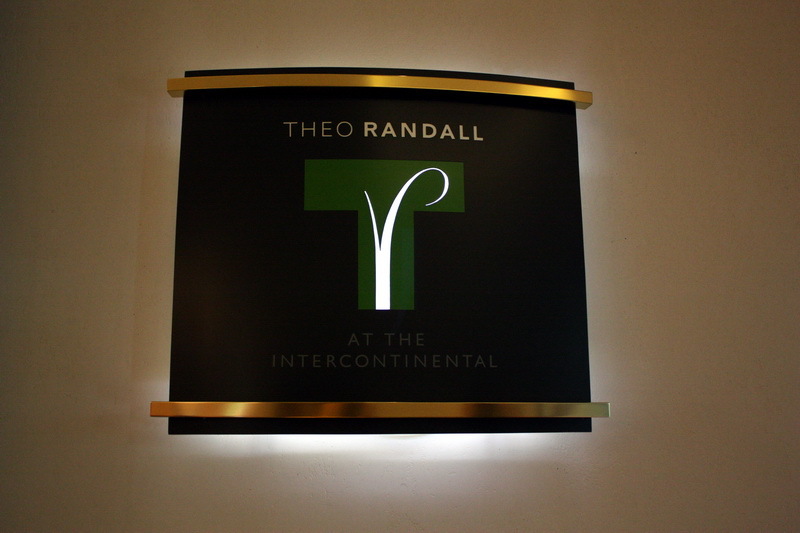 In November 2006, Theo left River Café to head his own venture at the Intercontinental. 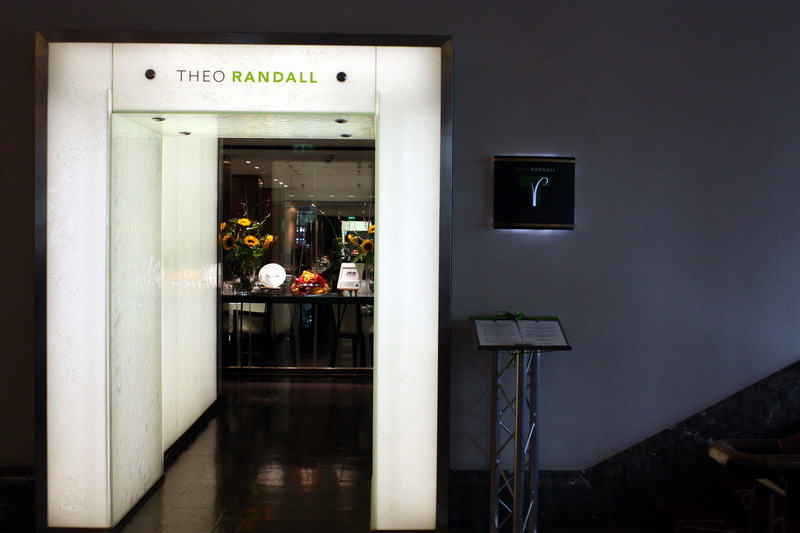 The restaurant has gone from strength to strength winning the accolade of ‘Italian Restaurant of the Year’ at the 2008 London Restaurant Awards. Much like at River Café, the cooking here is based on simplicity, seasonality and ingredients of the highest quality. Randall attributes this to the frequent yearly trips he would make as a child (with his parents of course) to Italy where they would stock up on the top produce available there – a practice he still partakes in to inspire his ever changing menus.